In 1940, the 1780-farmhouse that noted Maine essayist and curmudgeon John Gould’s great-grandfather built burned to the ground. To honor the generations that came before him, Gould there and then decided to rebuild the house in Lisbon Falls. 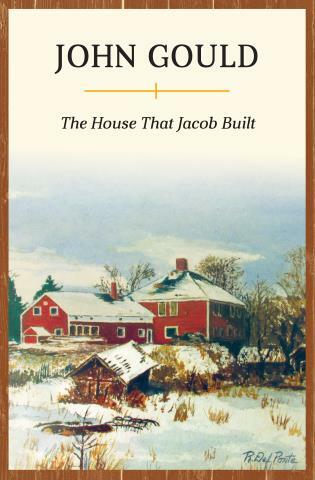 Like his great-grandfather, Gould cut the timbers from the same woodlot, and the new house rose so smoothly, it seemed as if Great-Grandfather Jacob was building it himself. Memories clung to every beam and rafter and this host of recollections form the substance of this memoir. Woven in are stories of how Gould’s Grandfather Thomas started the Battle of Gettysburg and all the rich associations of a family whose roots dug deep over five generations.